Since time immemorial, farmers have benefited from sharing knowledge with one another, and The FarmBot makes that easier than ever to do. Designed by California engineer Rory Landon Aronson, this open-source farming machine allows hackers and agriculturalists to brainstorm. 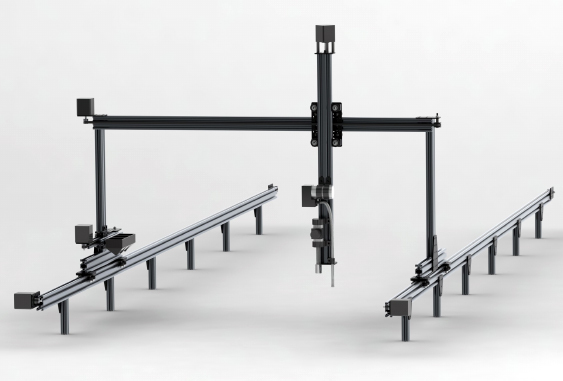 Similar to CNC milling machines and 3D printers, the FarmBot works on a scalable frame that employs X, Y and Z directions, and can be outfitted with anything from sensors and spray nozzles to plows and seed injectors. Since the Green Revolution, the world has relied heavily on farming practices that include massive machinery, fossil fuels, and chemical pesticides. Sensing that a paradigm shift was needed, Aronson created the FarmBot to harness economies of scale and modern technologies. The machine comes equipped with a web-based software package that be easily modified. 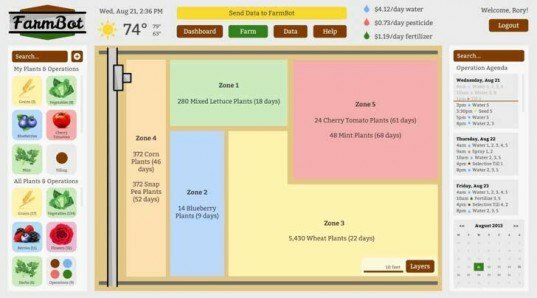 Users simply design their farm (graphically) and upload their numerical specifications to the hardware. A proponent of the sharing economy, Aronson continues to work on projects that take advantage of the kindness inherent in the human spirit. He is the founder and webmaster of a local Wiki for the town of San Luis Obispo, California, and has also been featured in Peers and The Story of Stuff Project for his effots with the Community Cabinet. The first FarmBot is currently in development, and is expected to be debuted for crowdfunding some time in 2014.